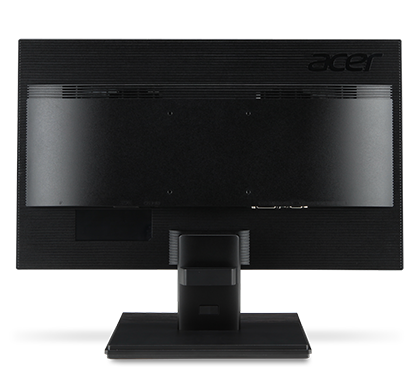 Acer LED monitor - UM.WX0EE.004: The KA0 series is optimized for a comfortable viewing experience. 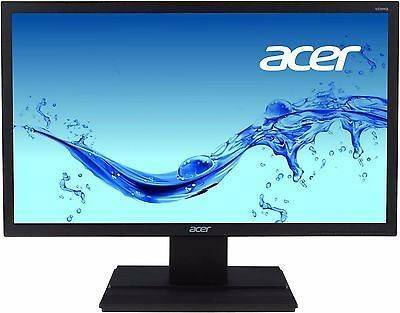 The display is easy on the eyes with low response times and special technology to reduce glare and harsh blue light. Easy adjustments and a wide viewing angle help you find the perfect position. The 1920x1080 resolution in a 16:9 aspect ratio makes movies more real and dramatic. 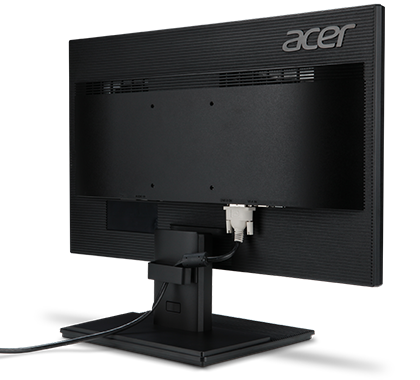 Full HD LED monitor: The 1920 x 1080 resolution of this LED monitor delivers excellent detail, making it perfect for advanced HD productivity and multimedia applications. LED monitors also consume less power and last longer than those with CCFL lamps. In addition, this monitor is mercury-free, making it safer for you and the environment. ComfyView Display: Acer ComfyView monitors reflect less ambient light to deliver vivid colors, reduced glare and more comfortable viewing, even over prolonged periods. Blue Light Filter technology: Acer Blue Light Filter technology reduces harmful blue light emissions, which can potentially cause long-term eye damage through adjusting the on-screen display (OSD) settings.